MotoGP organisers Dorna have dropped a bombshell this morning by announcing that 1993 500GP world champion Kevin Schwantz is set to make an incredible return to Grand Prix racing over two decades since he last raced. The Texan will join fellow American in the RW Racing team for a one-off appearance at the Circuit of the Americas later this month. The 53-year-old falls outside the class' maximum age limit of 50, but is believed to have been given special dispensation by the FIM to make the one-off appearance. Schwantz has been a key ally to Roberts in his move from the US to Moto2 via the Spanish championship, and as a reward the 25-time race winner now looks set to join the young Californian on one of the team’s Japanese-made NTS machines. Schwantz’s last race was Grand Prix was the 1995 Japanese Grand Prix at Suzuka, taking the decision to retire after a punishing 1994 title defence left him battling with a series on injuries. He finished that race in sixth, 24 seconds behind the Australian duo of Daryl Beattie and Mick Doohan in first and second. The wildcard appearance at the Circuit of the Americas makes complete sense for Schwantz, hwoever, who has been a key part of the project from the beginning. Working with circuit designer and architect Hermann Tilke to help set the layout, it marks something of a homecoming for him after two decades absent from racing. Happy April Fool's Day from everyone at MCN! 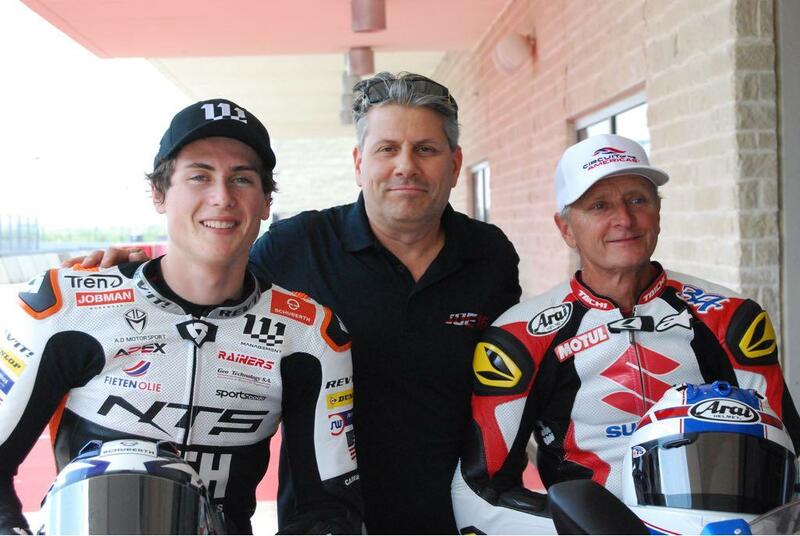 Kevin Schwantz to head Suzuki satellite squad in 2011?